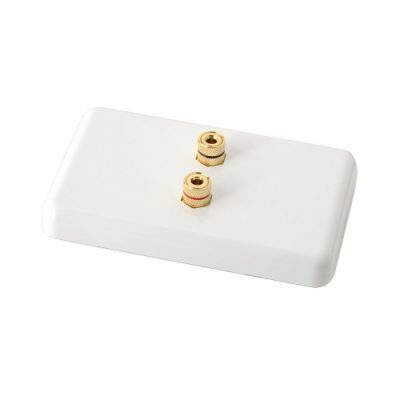 A speaker wall plate give your home theater or stereo installation a neat and professional looking finish. 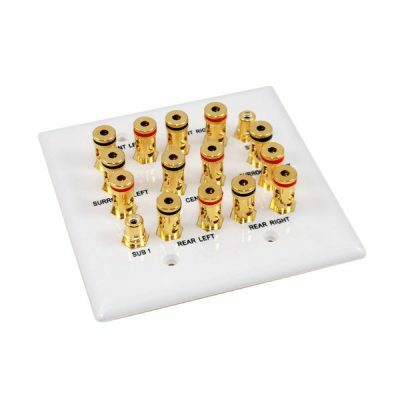 Each plate has gold plated banana/screw terminals on both sides and can accept banana plugs or bare wires. 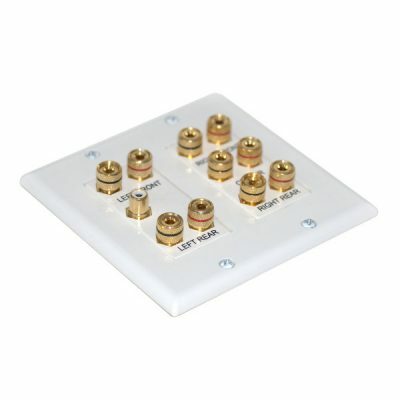 We have 1,2,3,4 and 5 speaker single gang plates as well as 5.1, 7.2 and 8.2 speaker plates with RCA couplers for sub-woofer cables.